OH BOY! 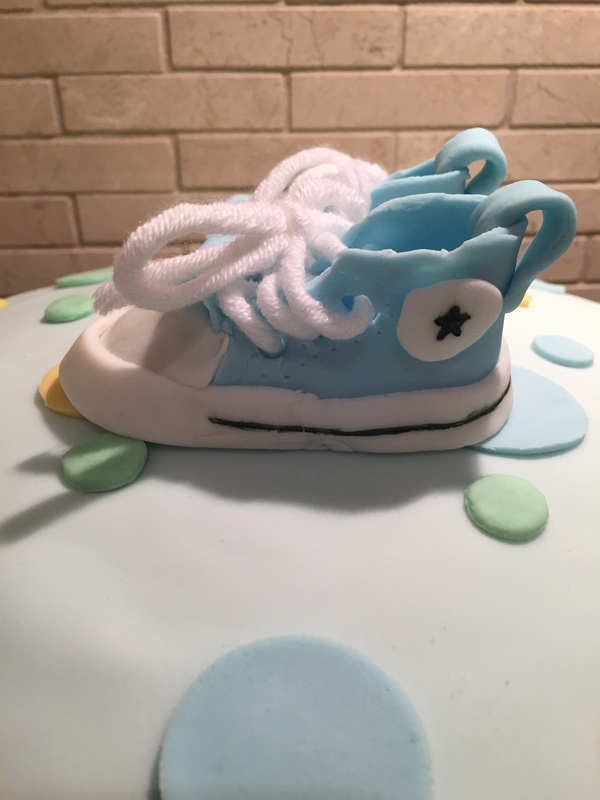 Fondant Converse Shoe Cake + Baby Face Cupcakes! 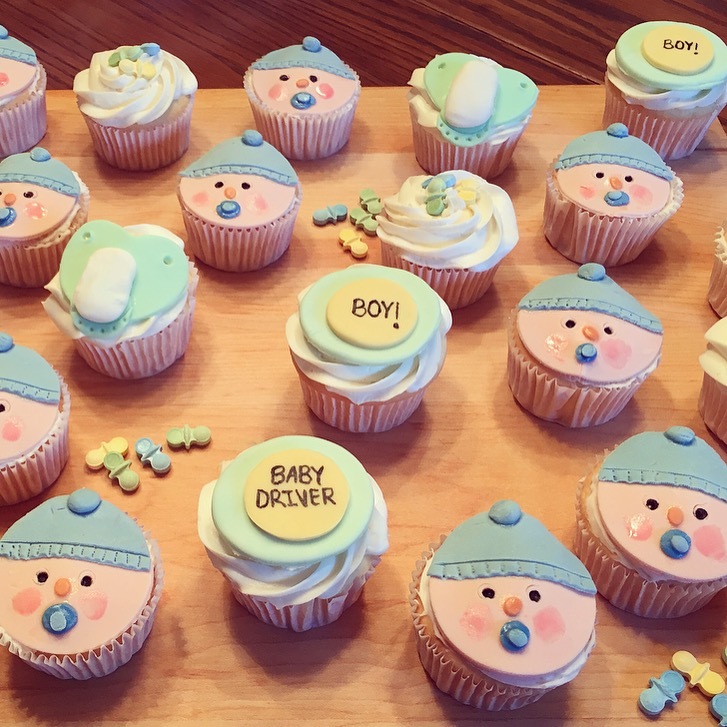 When I was asked to make a cake and cupcakes for a baby shower I immediately jumped at the opportunity! This was my first time making anything of this sort so it was really fun to be able to play around with a few things and get creative. 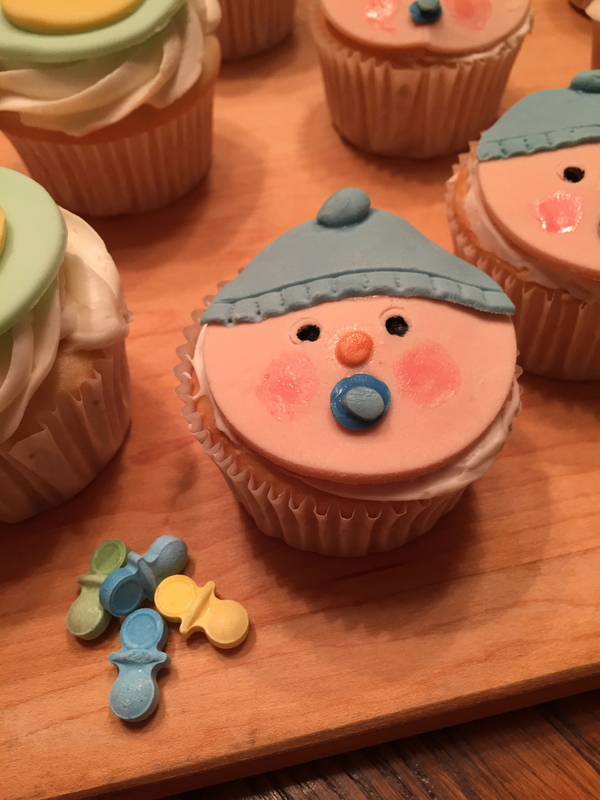 I had come across a few different cake and cupcake ideas on Pinterest so I decided to combine a few for my final products! 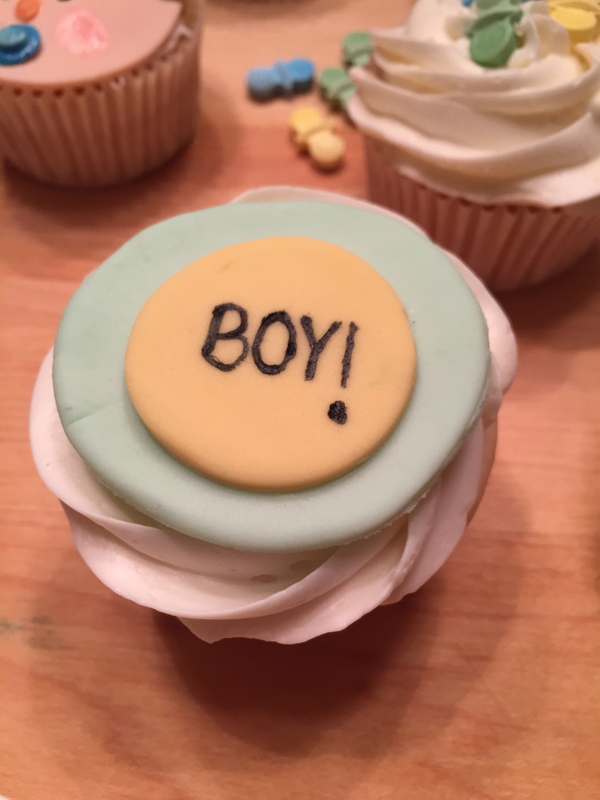 For this specific design on the cupcake I iced the cupcake with a simple swirl and then made two different sized/coloured circles to go on top. I finished it off by writing on it with the edible markers. These are really great for writing as well as doing any small details! 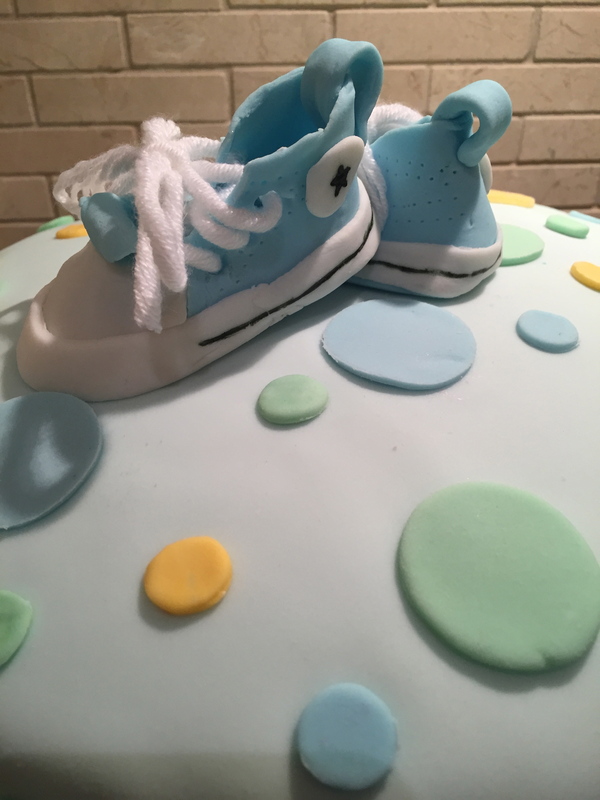 BY FAR the hardest BUT BEST part of the entire cake…the handmade fondant converse shoes! These MADE the cake. Luckily I found a stencil online for this so it was just a matter of playing around with it for a bit and then adding in my own touches at the end. I made an edible glue out of water and gum paste to hold everything together. For the laces I struggled with using fondant so I opted for some yarn, which ended up turning out great! I used white fondant around the bottom of the shoes and used the edible marker to add the star and stripes. I used a toothpick to add little details to the sides of the shoe. 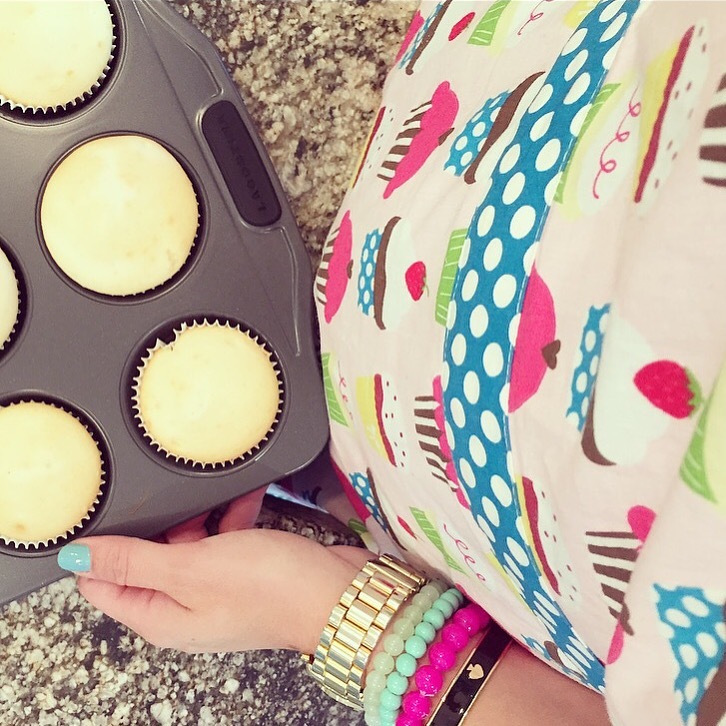 I made these a couple days ahead of making the cake and stored them in a container in the fridge. 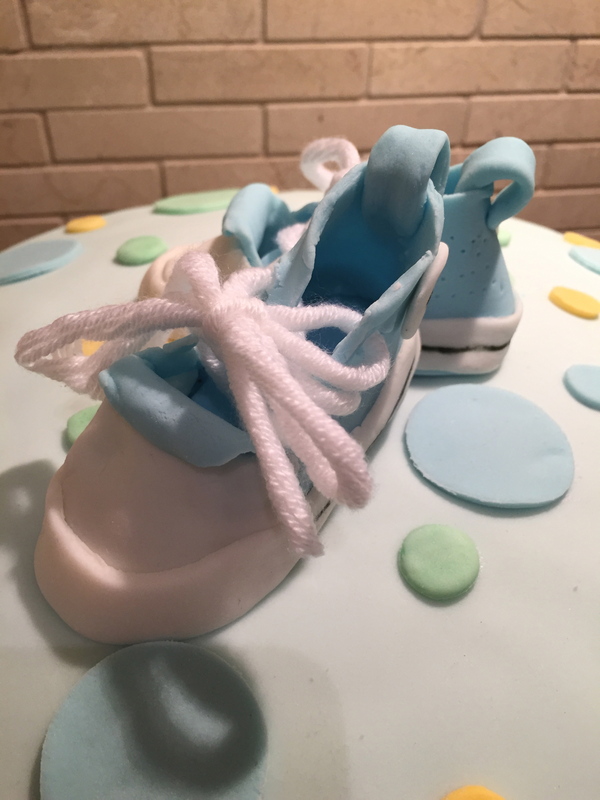 This was a great idea to have them done and out of the way so when I made my cake all I had to worry about was decorating it and not spending hours on these! 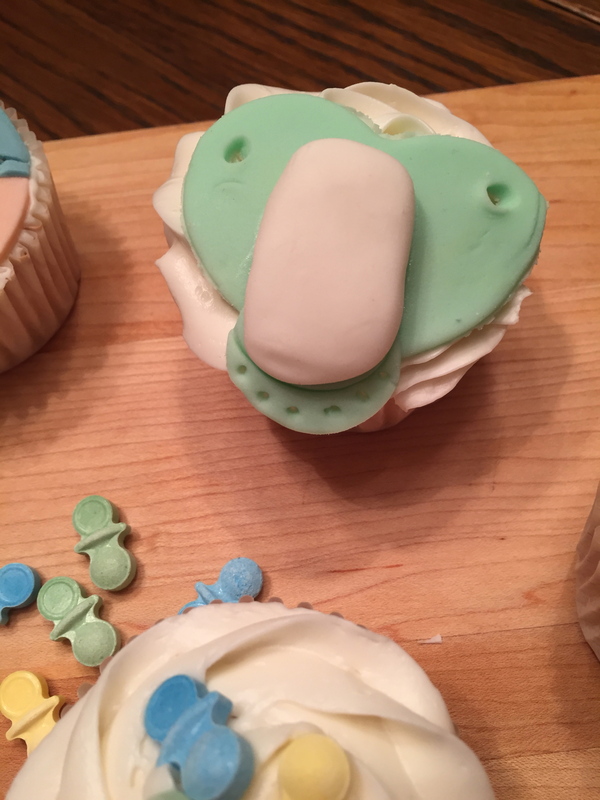 Not bad for my first time molding fondant into shapes eh?! Here’s the final product!!! 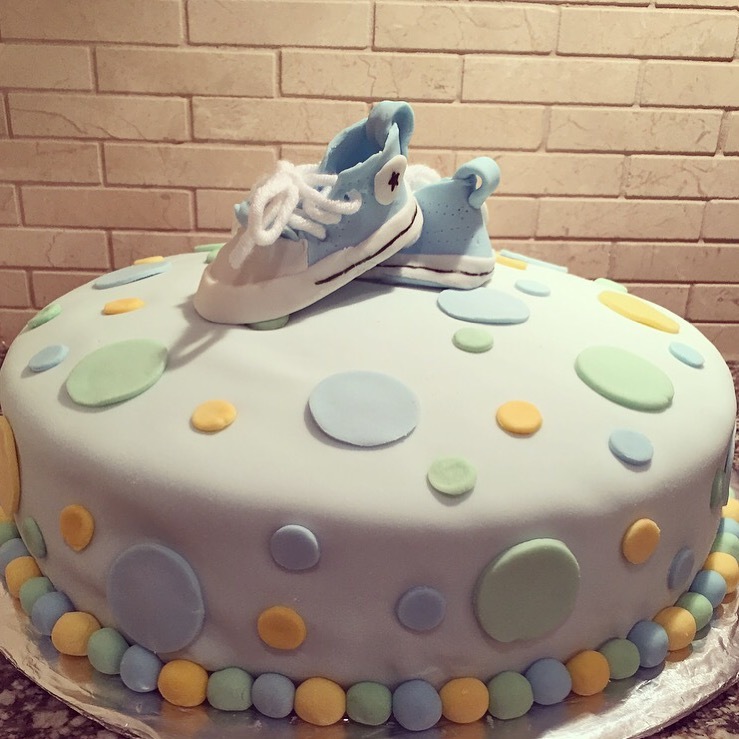 I tinted the fondant that covered the whole cake in a light blue and then made three different colours/sizes of circles to go on the cake. I also used these colours as little rolled balls on the base of the cake, I think this really finished it off!